Known for its transformative urban projects worldwide, Civitas has launched new branding and a refreshed website to express its unique culture and approach. 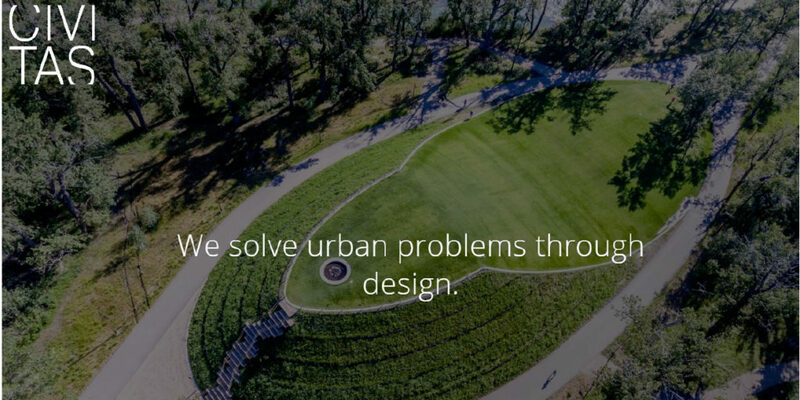 Denver, Colorado – January 30, 2019 – For award-winning Denver urban design and landscape architecture firm Civitas, creating a new website and logo was more than adding better functionality and some new bells and whistles. Coming at the 35th anniversary of the firm that has for decades staked its reputation on being driven by an insatiable curiosity and future-looking approach to an ever-evolving world, Civitas embraced the chore as an opportunity to go deeper. Using the 35-year mark as a pivot, the team came together to identify and express a philosophy of practice rather than merely showcase its admittedly remarkable oeuvre of urban strategies, plans and projects undertaken across the U.S. and around the world. “New urban landscapes have a new burden,” reads the new homepage manifesto, “—to heal scars, reclaim lost places, connect old and new systems, create cultural and economic value, attract people, activate neighborhoods and connect people to each other and the place they call home.” Always, Civitas’ role has been an active response that creates healthy public spaces that engage the “civitas” socially and answer environmental challenges even as they invite joy in those who experience them. The unveiling of the firm’s new branding and website clarifies the underlying missions. New Civitas logo, left, hints at “outside the box” thinking while helping the uninitiated with pronunciation. Right, “Civitots” at work in their Denver Golden Triangle office. Leading the charge on the quest for greater clarity was new Civitas Director of Marketing Blake Booth Jordan, returned after a 10-year hiatus, although, she notes, she never really left, having often pitched in on a consulting basis when the firm was in a pinch. “I was able to walk in with fresh eyes and a deep understanding of what makes this firm so damn special – and it’s always been the people,” Jordan says. 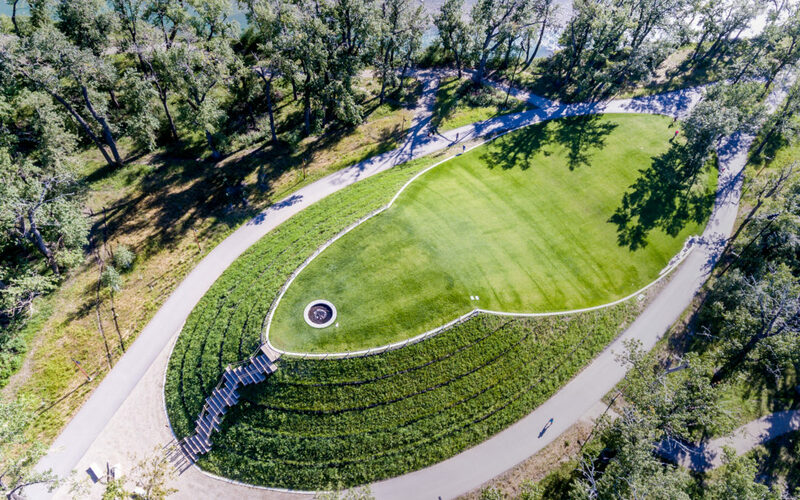 Founded in 1984 with the core purpose of “creating healthier cities,” Denver-based Civitas, Inc., is an idea-based practice of urban designers, architects and landscape architects engaged in strategic planning for urban change and project design for built works. Recent honors received include both the 2017 International Architecture Award and 2018 American Architecture Award from the Chicago Athenaeum/European Centre; the Canadian Institute of Planners “Great Public Space”; a 2017 IMCL Merit Award; and an Excellence on the Waterfront Award from the nonprofit Waterfront Center. A consultancy and a design studio, Civitas advises on a wide range of strategies for re-imagining urban life and places, working in U.S. cities coast to coast and around the world. For additional information visit civitasinc.com.